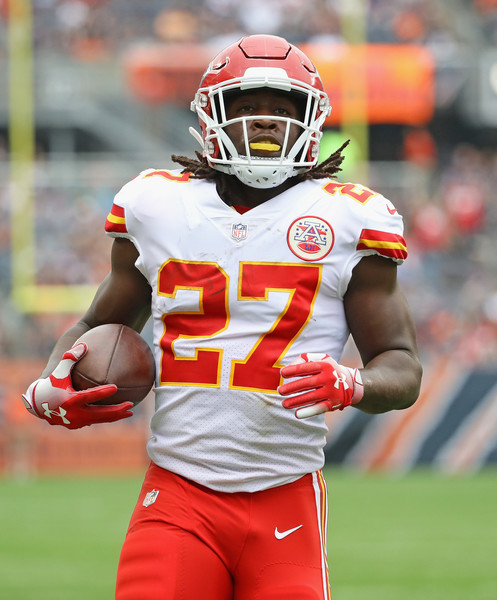 Former Chiefs running back Kareem Hunt is speaking out for the first time in an interview since video footage of him kicking and shoving a woman in a Cleveland hotel hallway surface. 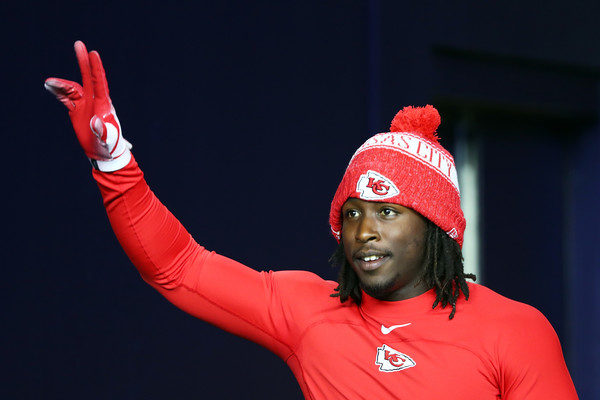 After the video was released on Friday, the Kansas City Chiefs released him from the team after placing him on the NFL's Commissioner's Exempt List. See the video HERE, in case you missed. Following the release, Hunt issued an apology. The running back sat down with ESPN's Lisa Salters to apologize for his actions during the February altercation. He requested to do the interview to talk one-on-one about the incident. Hunt revealed he had not seen the video until TMZ released it. He saw it like everybody else. The 23-year-old was adamant that the person in the video is not who he is as a person. He said he was raised by his mother and grandmother and that he knows better. When asked if he had anger management issues, he said it was a possibility. He revealed he has been to therapy since the incident. The NFL running back revealed he was NEVER approached by the NFL to talk about the incident in February. Officials made claims that the NFL reached out to the woman and her friend on multiple occasions, but they did not respond. Hmm...that's interesting. Why wouldn't the league address the situation with him? Hunt said he hopes to get another chance in the NFL and will do whatever he has to do to help a team win. "I've worked for this my whole entire life," he told Salters. "I gave everything and sacrificed so much for this. I'll do whatever I can to help win." It turns out, just like Hunt saw the video for the first time when it was released by TMZ, so did the Chiefs and the NFL. According to Athletic's Nate Taylor, the Chiefs were trying to get their hands on the tape but were unsuccessful. The organization knew the video existed, but they were reportedly instructed by the NFL to NOT pursue it as the league investigated the situation. As you know by now, the NFL was unable to acquire the tape, however, TMZ did. NFL Network's Ian Rapoport also reported that Hunt will likely serve MORE than the baseline six-game suspension since he's being investigated by the NFL for ANOTHER incident. The league is investigating Hunt in a second incident where he allegedly punched a man in the face at an Ohio resort back in June. "The league also has been investigating an incident involving Hunt allegedly punching a man in the face at an Ohio resort in June," according to NFL.com. "The NFL is believed to have found enough from that incident to add to Hunt's discipline. Since penalties for two incidents aren't likely to be served independently of each other -- and because the clock on a suspension doesn't begin when a player is on the Reserve/Commissioner Exempt List -- Hunt could sit out not only the rest of the 2018 season, but well into the 2019 season." The NFL is expected to join the two incidents into one suspension, extending its potential discipline into the 2019 season. Hunt is eligible to be claimed on waivers, with the deadline set for 4pm EST on Monday (December 3rd). NFL's Ian Rapport spoke to former Baltimore Ravens running back Ray Rice, who was dropped from the NFL after TMZ released a video of him punching his fiancee (now wife), Janay Palmer Rice, in a hotel elevator back in 2014. Rice revealed he wants to help Hunt. "Peer-to-peer, I would definitely try to help him figure out, 'How can we start dealing with the underlying problems in your life?'" Rice told NFL.com. "Because he has a long life to live, this will be a defining moment, but it shouldn't be the moment that defines you. For me, I just see you have a long life to live and that doesn't mean just playing football -- you need to just live one day at a time." Hunt may not find out when he'll be allowed to step on the field again for an NFL team until the offseason. So, do you think his interview helps or hurts his chances of getting back on the field?